Sea-Doo’s GTX lineup of watercraft and accessories are sure to please even the most discriminating riders. 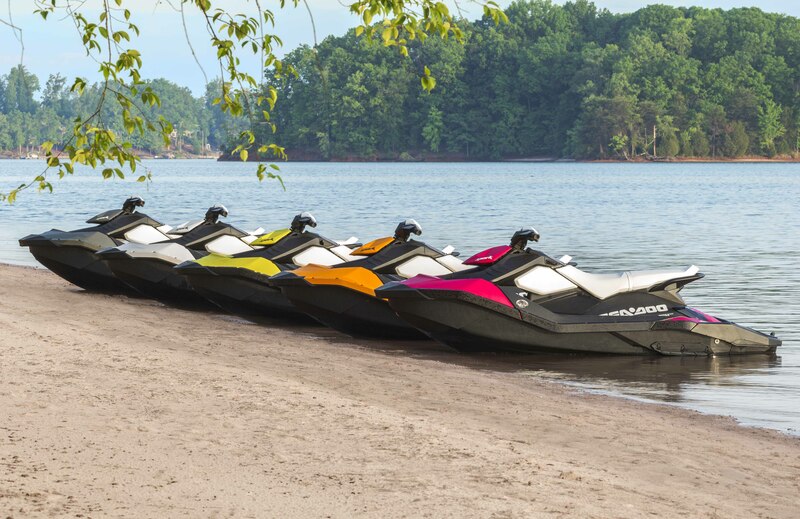 Sea-Doo’s GTX Lineup of watercraft, riding gear and accessories are sure to please even the most discriminating riders. 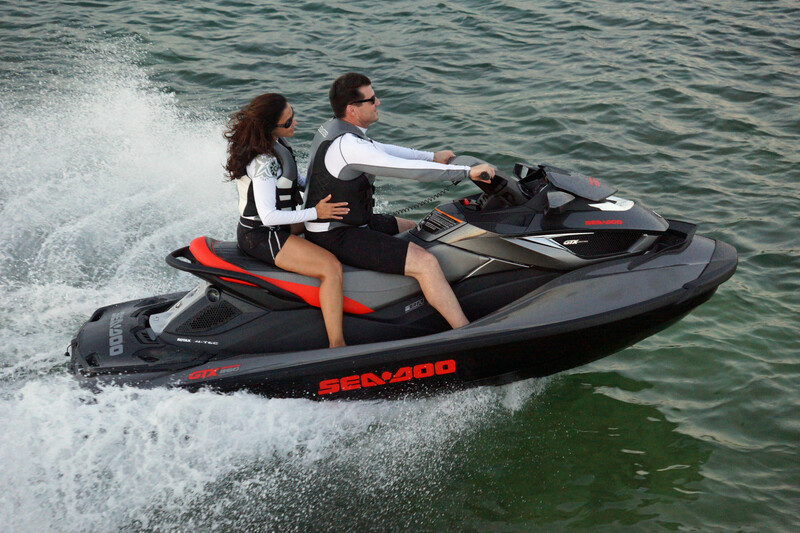 Luxury abounds in Sea-Doo’s GTX watercraft. Buyers’, who crave the best of the best, will enjoy our GTX lineup as well as our suite of riding gear and accessories designed to make every rider feel like a luxury rider. These luxurious additions provide the final piece de resistance to ensure integration of watercraft, accessories and riding gear. 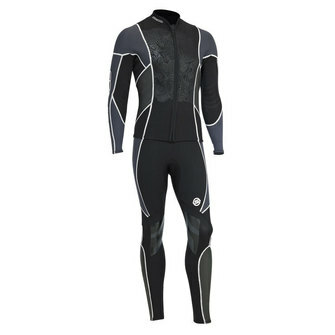 The Crème’ de la crème of wetsuits, the Deluxe Combo Suit, is designed for Sea-Doo riders who put a premium on comfort. 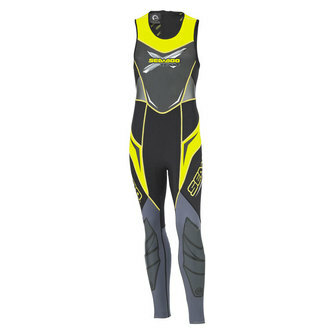 This stylish full body wetsuit is constructed of 3/2 mm neoprene and includes a removable jacket with front zipper that is designed to fit comfortably over the sleeveless wetsuit combination. The Deluxe Combo Suit has embossing on the back of the knees for ease of bending and textured shinpads for comfort. 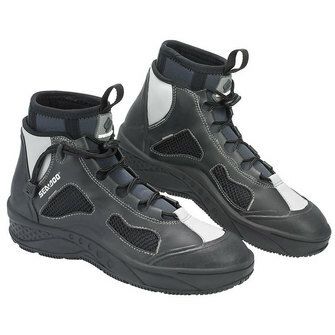 The closure on the shoulders are velcro providing a secure and comfortable closure It comes in both men’s and ladies‘ versions. 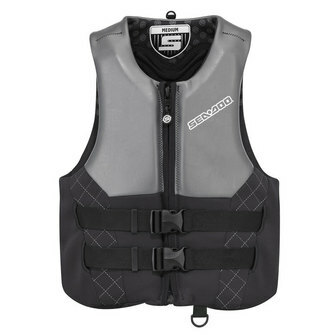 Our top-of-the-line PFD is the Sea-Doo Airflow PFD. The Airflow PFD is eco friendly, soft, light and durable. Adding to the lightweight structure, the interior of the vest is constructed of 100% PVD-free biofoam and it has an ecoprene outer shell and lining. This choice of material makes it 30% lighter, more breathable, faster drying and more water repellent than standard neoprene PFD. The side and back of the PFD has glideskin panels and it includes a heavy-duty front zipper. The Airflow PFD also includes a loop strategically placed at the back of the neck to be used for a goggle-to-PFD attachment. 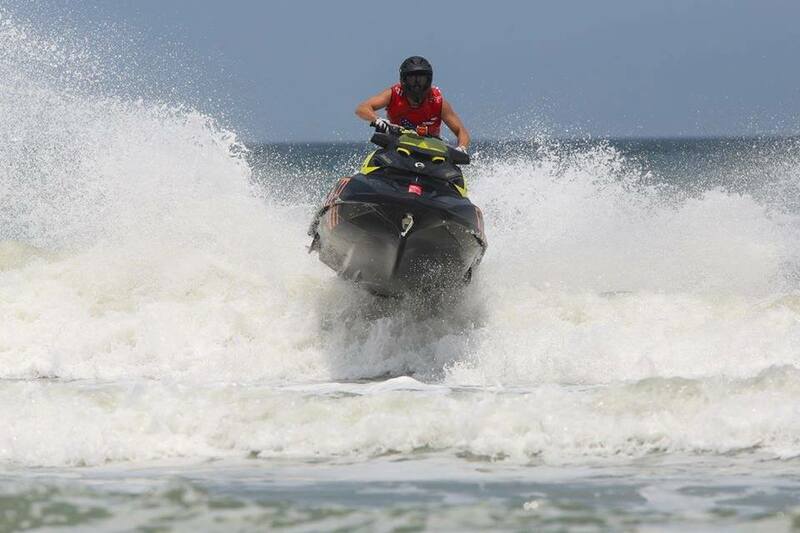 The Sea-Doo Riding Goggles compliment the Airflow PFD perfectly. 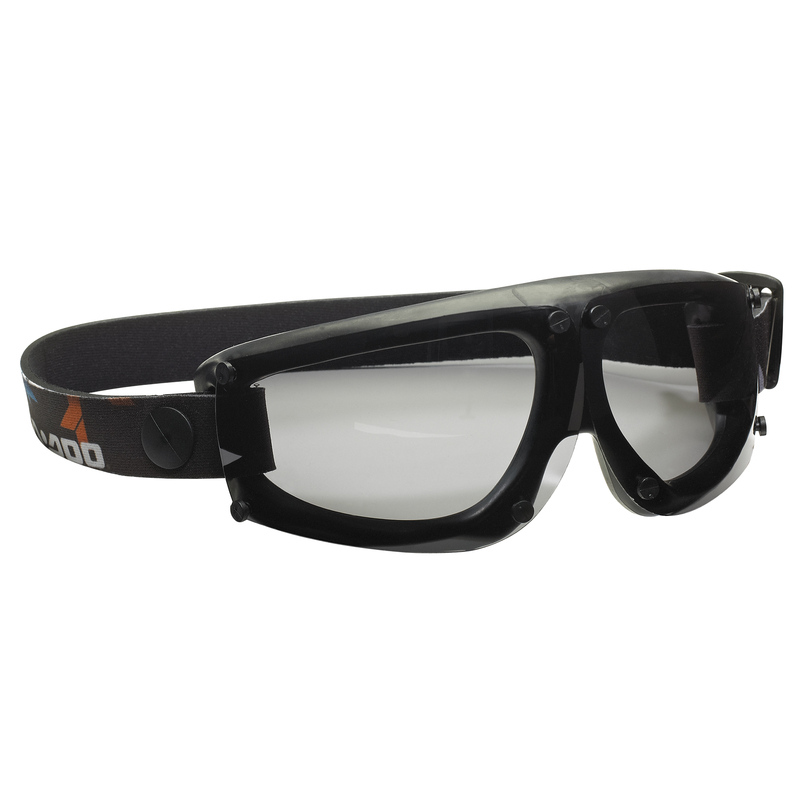 These riding goggles are specifically designed for watercraft applications and deliver the best eye protection ever. The revolutionary patented hypoallergenic silicone seal offers the ultimate in anti-fog support. 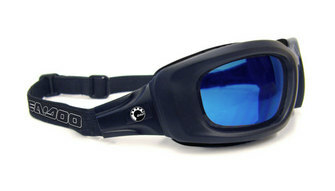 The goggles include anti-fog and scratch-resistant mirrored lenses so you can see everything while on the water. 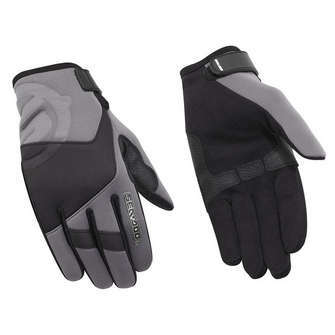 They include the Goggle-to-PFD attachment cord that secures tightly to the PFD. 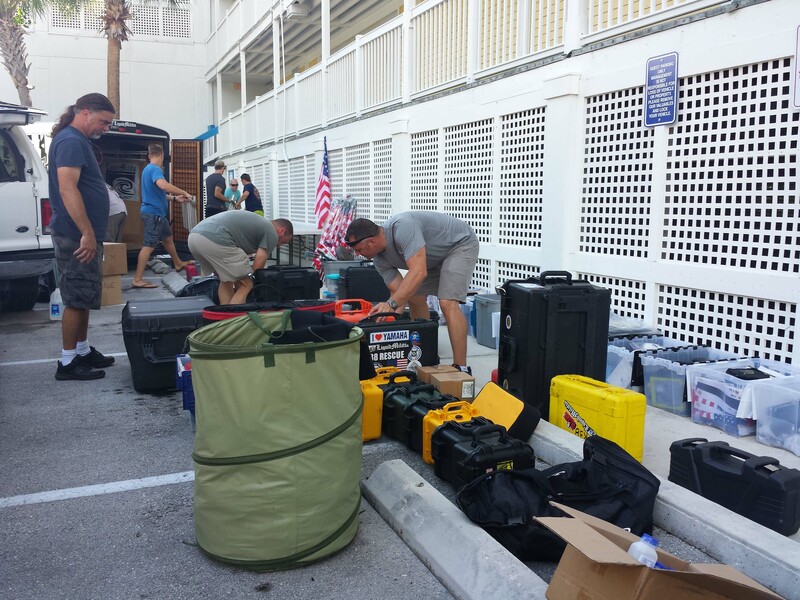 Keeping your Sea-Doo looking showroom new is a goal of many Sea-Doo owners. One of the key items to protect your watercraft is a Sea-Doo GTX Cover. These covers provide a solid barrier to protect your watercraft from the weather and provides increased UV resistance. The covers are strapless and easy to install on or off the water. 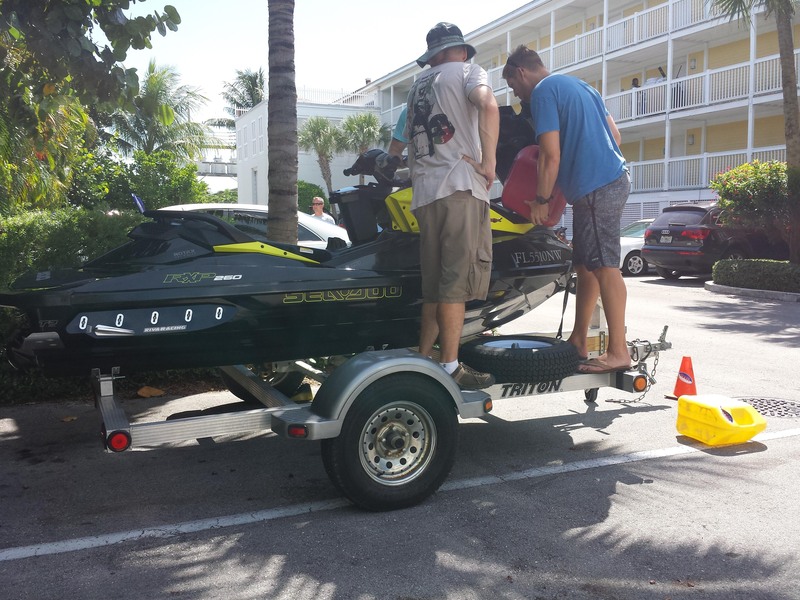 The cover includes a patented air release vent system so the cover stays on the watercraft when trailering. 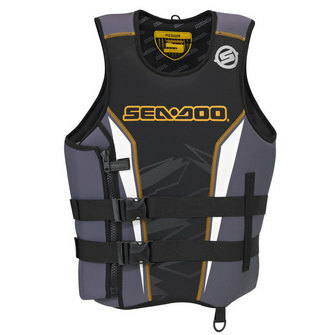 Sea-Doo Covers are available for all makes and models. 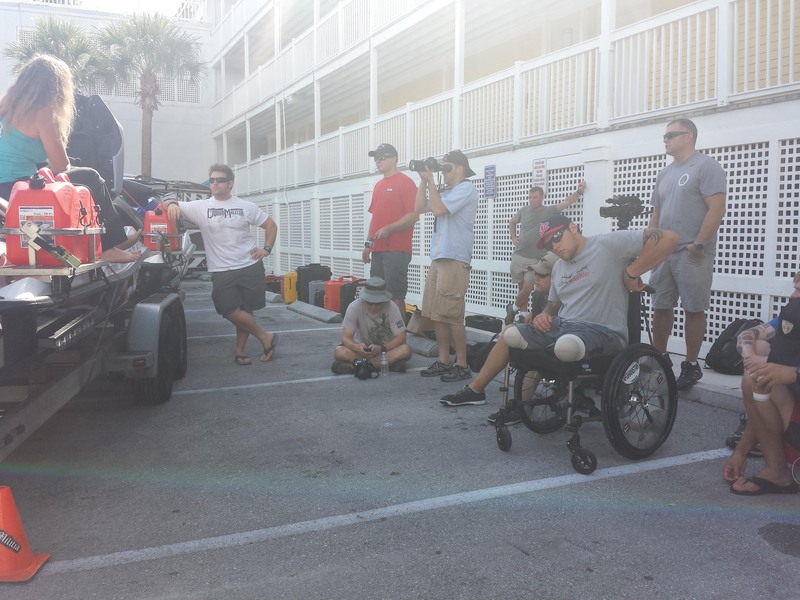 Getting your watercraft to and from the water can also be done with the ultimate luxury with the Sea-Doo Move Trailer with iCatch and Walk Pad. 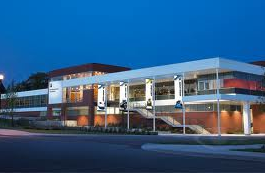 This trailer includes an automated catch and release system that uses a quick-snap handle built into the walk pad for ease of manipulation and loading. 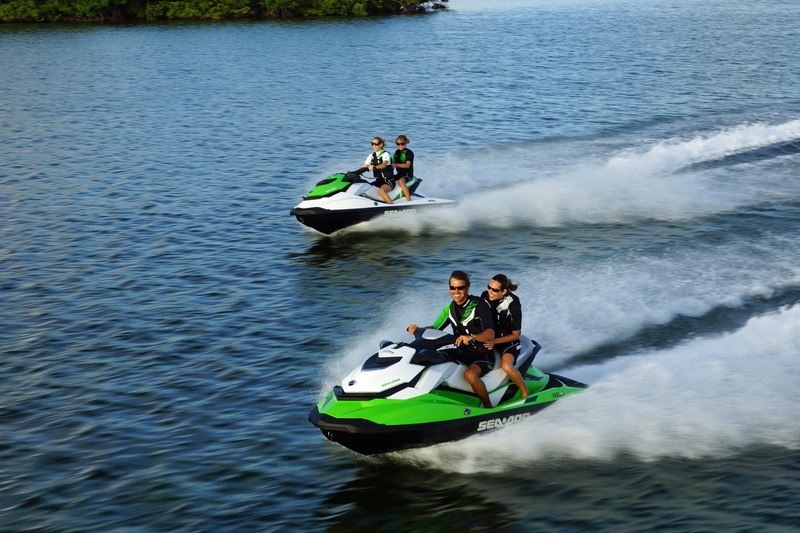 Users simply lift the handle and the watercraft glides off of the rollers into the water. The innovative walk pad guidance system allows you to walk around the watercraft for ease of access when getting on or off the water. 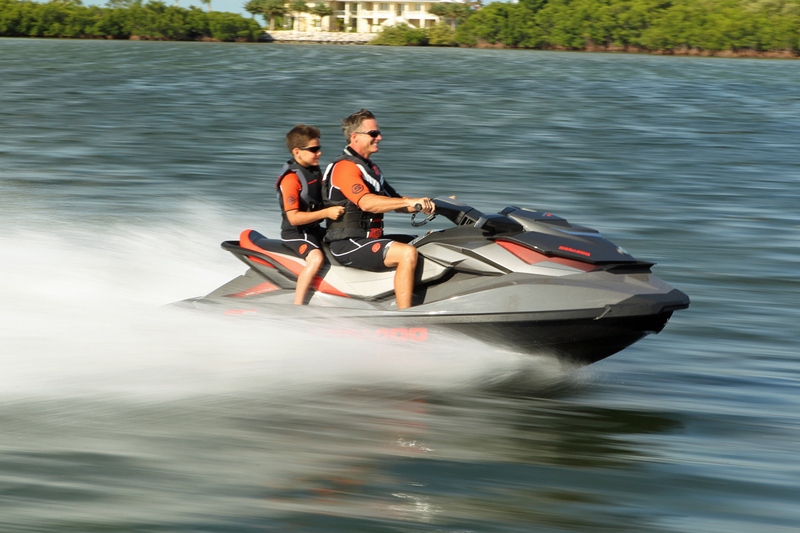 Boating World Magazine said, “You want thrills for the buck, this is your baby!” in speaking about the Sea-Doo GTR 215. The Sea-Doo GTI Limited 155 is a striking, luxury-equipped watercraft entering 2013 in all-new Anthracite Grey color. The GTI Limited 155 model is loaded with premium features and accessories that offer increased comfort and advanced iControl technologies. It comes with a plush touring seat, fold-down re-boarding step, Off Throttle Assisted Steering (O.T.A.S), cruise control and slow speed modes combined with iBR and Intelligent Throttle Control (iTC) with ECO Mode. The Limited package’s exclusive features also include: custom cover, dry bag, safety kit, anchor bag, high-performance Variable Trim System (VTS), and additional gauge functions including access to fuel autonomy.